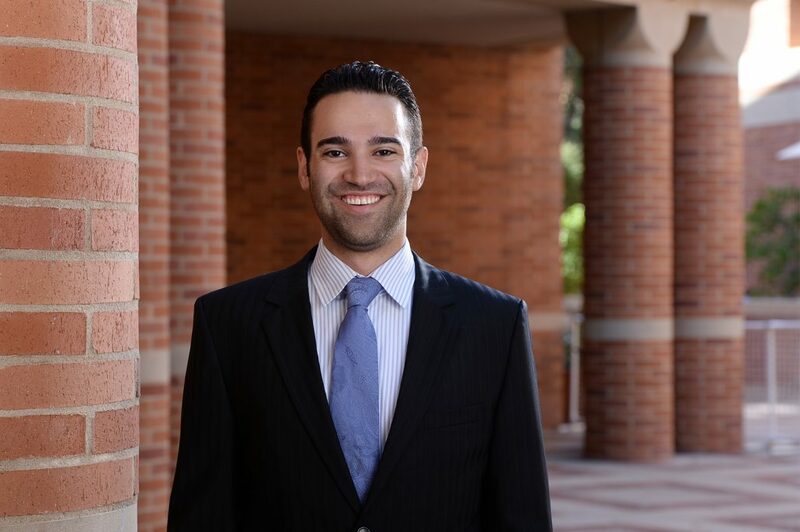 Co-founder of Swipe Out Hunger and proud Bruin Bryan Pezeshki ’12, MBA ’16 has a passion for service. He recently obtained his M.D. from Duke University and aspires to direct his passion toward creating systematic change in health care. Pezeshki works as an emergency medical resident at the Brookdale University Hospital & Medical Center, one of the main level 1 trauma centers in Brooklyn, NY. A self-described social entrepreneur, he ultimately plans to take the knowledge he gathered from treating individual patients to create large-scale changes that affect a greater number of stakeholders. He regularly draws on his UCLA experiences and connections in his current role. Pezeshki’s work at Swipe Out Hunger proved to be one of the most rewarding experiences of his undergraduate years at UCLA. “We saw the inefficiency of wasted meal swipes and recognized the prevalence of student hunger on campus,” he said. He said that one of his best memories was going to Washington D.C., where President Obama recognized Swipe Out Hunger as a White House Champion of Change. Pezeshki also completed cancer research at UCLA Health’s oncology department and went on to co-author an article titled “Patients’ Willingness to Participate in a Breast Cancer Biobank at Screening Mammogram” in the Breast Cancer Research and Treatment Journal published by the National Center for Biotechnology Information. After completing his B.S. in neuroscience, Pezeshki knew that although he wanted to pursue a career in medicine, he wanted to make a bigger impact. He was able to enter into a dual program that allowed him to pursue an M.D. at Duke University while simultaneously acquiring an M.B.A. at the UCLA Anderson School of Management. Pezeshki said that one of his favorite aspects of working in the medical field is creating individual patient relationships. He would love to give back to UCLA and is considering returning as a clinician after completing his residency.